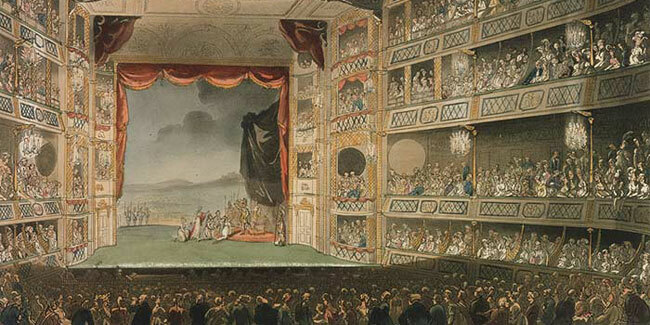 English 252: Theater in England will be held in London from December 26, 2018–January 6, 2019. The course is restricted to 15 students and carries four credits. Students will see approximately 20 plays. Family Reunion, by T.S. Eliot. Seen historical sites like the Tower, Dickens' House, Parliament, and the Inns of Court. Students can use one of the many public transportation options to get around the city. For more suggestions about what to do in London check out the London site seeing page. We will stay at the Harlingford Hotel, 61-63 Cartwright Gardens, a couple of blocks from the British Museum and the new British Library. The fee will be $2850.00, which includes tickets to all plays and housing. Students must obtain passports and make their own travel arrangements to and from London. Submit a completed application form to Katherine Manneimer at katherine.mannheimer@rochester.edu. You need permission of the instructor to register. To learn more about what students have seen in previous years, various aspects of the seminar are available on this website — the archive of syllabuses, student journals, information about the Harlingford Hotel, in Bloomsbury, where we always stay, and student photos of the London Theatre scene in general.